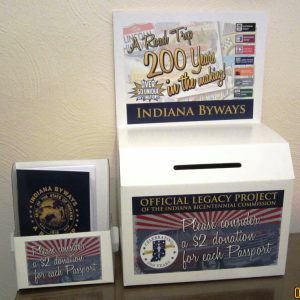 Summer is just around the corner but that doesn’t mean you can’t start making plans for a road trip using the Indiana Byways Bicentennial Passport–an Indiana Bicentennial Legacy Project. Visit the website below to get started, watch the video, and be sure to then click on the Lincoln Highway to see the 10 sites along both routes of the Lincoln Highway Byway. Pick up a Passport at any of the listed locations (a small $2 donation is encouraged) and be sure to get it stamped while there, and at the other sites as well. 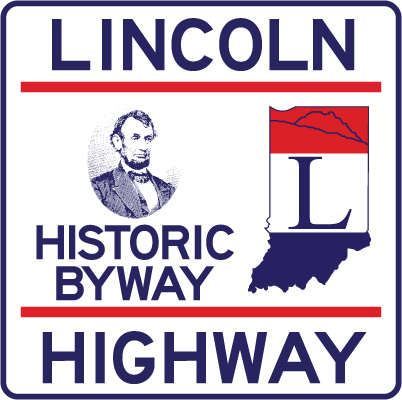 While we are naturally partial to the Lincoln Highway Byway, this is a joint effort between all seven Indiana Byways. When you’ve completed the Lincoln Highway, there are great sites listed on the other Byways too. It’s a Road Trip 200 Years in the Making!